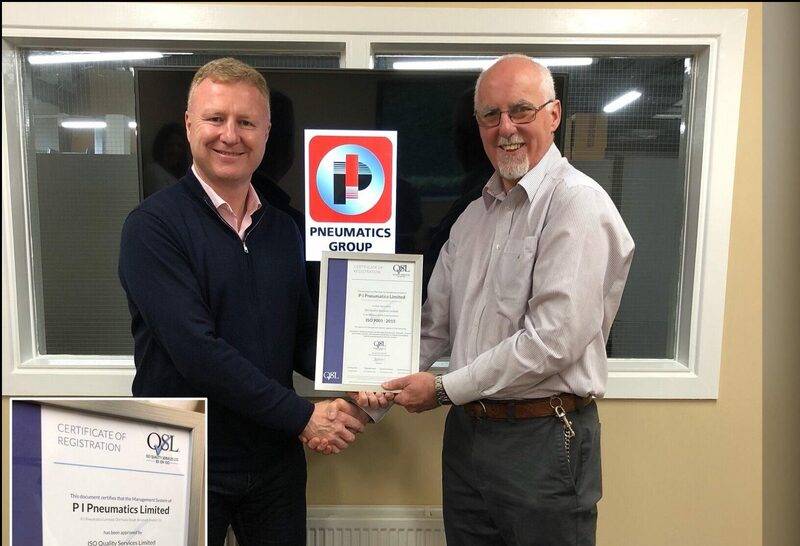 Recently, I had the pleasure of working with Michael O’Reilly, MD of PI Pneumatics. PI Pneumatics, in operation for over 35 years, is one of Ireland’s leading suppliers of Compressed Air, Vacuum, Automation, Mechanical and Engineering Equipment. They take pride in providing “Engineering Solutions” to customers in almost all industry sectors. ISO Quality Services Ltd were asked to complete an initial assessment and work alongside the Management Team in their implementation, development and certification to ISO 9001:2015. From the outset, their commitment to delivering to their customers and potential customers was evident. They have designed the organisation’s processes to consistently deliver on customer requirements with their people dedicated to sales, technical support, purchasing, servicing, manufacturing and administration. Although initially not certified to any standard, the Management Team were committed to continuously improving their processes and procedures. They have always focused on being the most efficient and effective organisation in their field, offering both online and manual ordering and delivery. They approached the implementation with their usual commitment and enthusiasm. Although somewhat apprehensive about their initial certification, they passed with flying colours. Well done to Michael and all the team at PI Pneumatics.